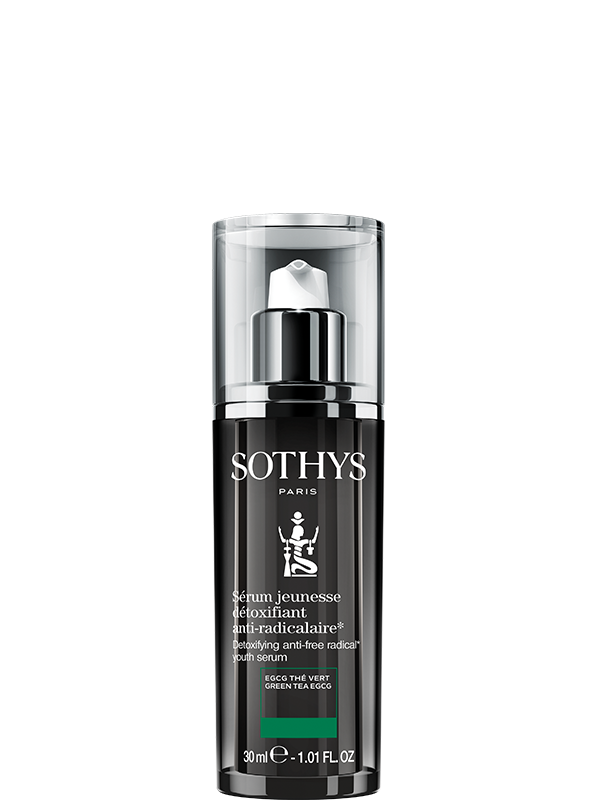 This Detoxifying serum visibly protects the skin against free radicals and optimises cell renewal. Improvement in complexion radiance. Fresh, rosy complexion, like a breath of fresh air. Complexion is less dull, less tired. Dandelion Extract - Detoxifying, anti pollution. Green Tea EGCG - Phytoactive prolonged release molecules for an anti free radical and anti inflammation action. Prickly Pear Extract - To promote cell renewal and restore radiance. Dermo-aesthetic technique detox treatments. Detox Treatments are designed to give our bodyguard organs a rest (liver, kidneys, intestines, lungs, and skin). They involve a change in diet, in particular the elimination of processed foods and refined sugars, and the consumption of raw fruit and vegetables, which are rich in minerals, antioxidants and vitamins, and help to flush out waste. Expected clinical effects: detox treatments are designed to eliminate accumulated toxins and strengthen the natural defences.